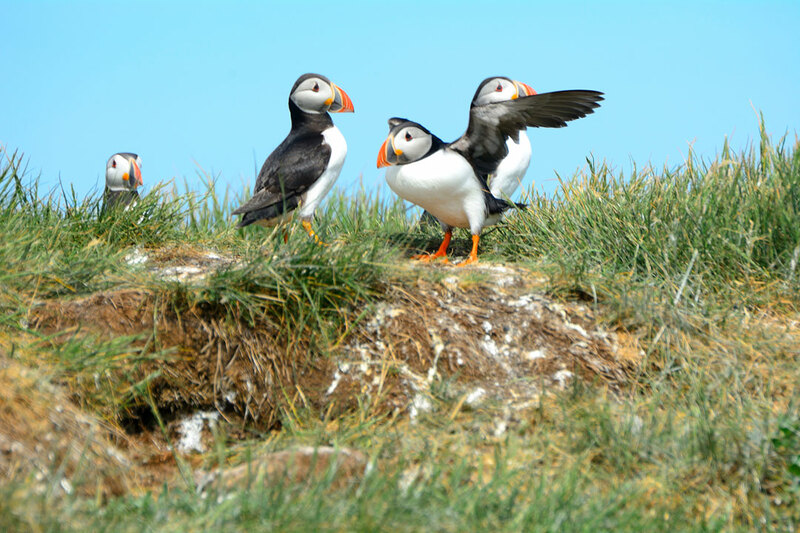 From the cobbled streets of Edinburgh to the wilderness of the Orkney Islands, Scotland has a huge variety of landscapes, and we’re going to explore them all on this Traveleyes trip. Not only will we get out into the fresh Scottish air in the Cairngorms and experience the beautiful scenery by steam train, but we’ll also tour around some of the UK’s most northern islands where history will be brought to life through our guide. Let’s eat haggis, seek out the Loch Ness Monster and take a journey through Scotland’s wild side. Will you be coming with us? Walk around Edinburgh and learn about this city’s intriguing past. Discover the history of the magnificent Blair Castle. 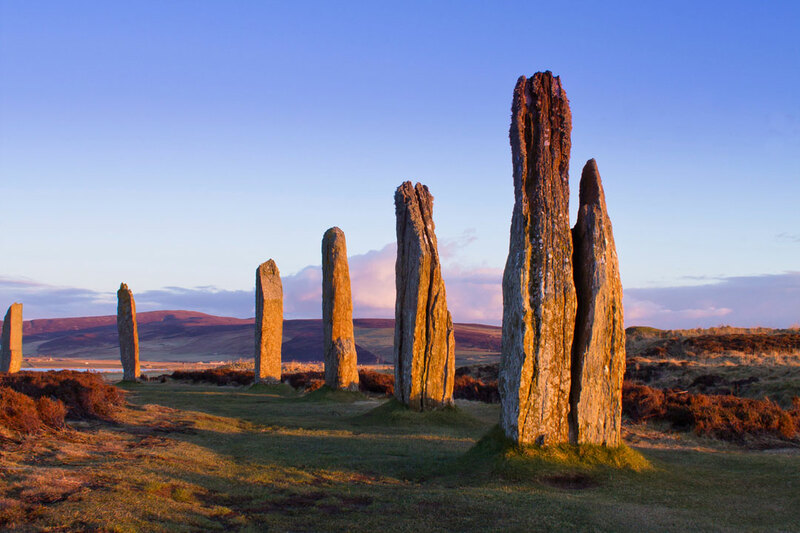 Journey on a ferry to the wild Orkney Islands and visit Neolithic structures that are located on the land. Embrace the fresh air and rugged beauty of the Scottish Highlands. 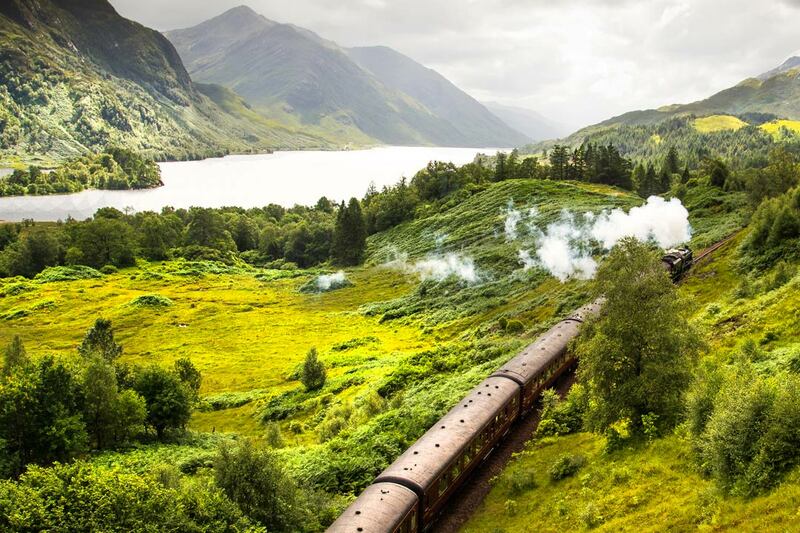 Enjoy a traditional journey on a steam locomotive in the Cairngorms. Today we check in to our central Edinburgh hotel at 3pm ready for our trip around Scotland. After everyone has arrived, we’ll do our briefing at 5pm before going for dinner in Edinburgh. This morning we’ll enjoy a cooked breakfast at our hotel before embarking on a walking tour around Edinburgh. Our expert guide will take us through the cobbled and quaint streets of Edinburgh’s capital while telling us about the history of this enchanting city. Each corner reveals something new – from Harry Potter to famous Scots – there’s no getting away from tales of the past in Edinburgh. The walking tour should give you an idea of Edinburgh’s layout, so the rest of the day is yours to spend as you wish. 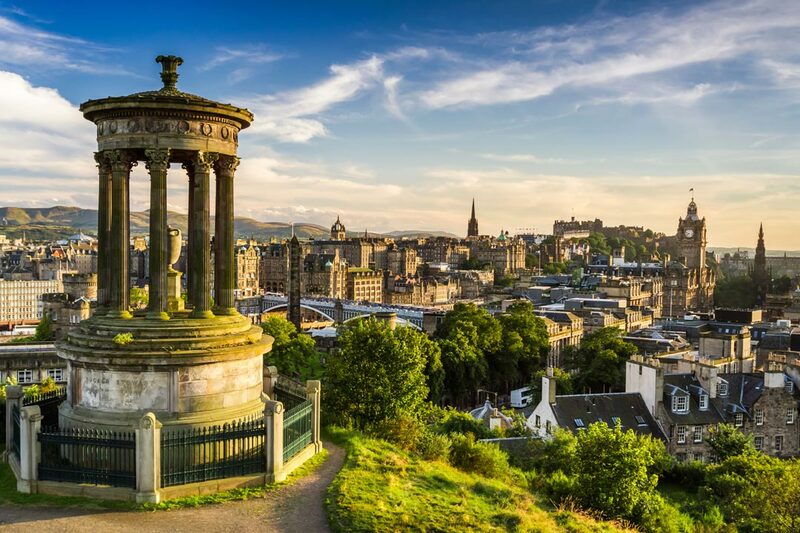 Why not explore Edinburgh Castle, take a walk up Arthur’s Seat, enjoy a tour around the Edinburgh Gin Distillery or soak up the city at your own leisure. Breakfast included. Overnight in Edinburgh. After breakfast, we’ll depart Edinburgh early to travel to Blair Castle. This is our first stop on our way to the Orkney Islands and we’ll take a guided tour around the castle and gardens to experience what the life of the Atholl Highlanders has been like throughout the years. Blair Castle has specially organised for our group to be able to handle various items which will really bring this historic building to life. When we’ve finished our tour, there is time to enjoy a bite to eat in the castle’s café before we continue our journey north. Our 1 hour drive takes us to Aviemore in the Scottish Cairngorms National Park, an area which is twice the size of the Lake District. We’ll be exploring the land on the Strathspey Railway, an old-fashioned steam train which travels along a restored 10-mile section of the Highland Railway Line. Our return journey between Aviemore and Broomhill will take us through some of Scotland’s most beautiful scenery and you’ll be able to experience how travel used to be in the Scottish Highlands. Once our steam train arrives back in Aviemore, we’ll make the short journey to our hotel for the night. There’s time after check-in, and before our group dinner this evening, to take a dip in the pool, relax with a spa treatment, or just rest in your room. What a way to end the day! Breakfast and dinner included. Overnight in Aviemore. It’s an early start this morning for our journey to the Orkney Islands. At 8am sharp we’ll hop onto the coach to begin our travels out of Cairngorm National Park, through Inverness, and up along the Scottish coast. We’ll stop in Helmsdale for a quick break and a stretch of the legs before continuing to Gill’s Bay where we’ll get our ferry to the Orkney Islands. It’ll take us 1 hour to sail across the sea, and by mid-afternoon we’ll be in St Margaret’s Hope on the island of South Ronaldsay, our first stop on our Orkney Islands adventure. From there, we’ll travel across the islands of Burray, and Glimps Holm before reaching Lamb Holm where we’ll visit the Italian Chapel. You might think the northern islands of Scotland are a strange place to find an ornate Italian Chapel but it was built by Italian prisoners of war in World War Two. It was restored in the 1990s and is now a category A listed building where we’ll be able to spend some time before continuing our journey. 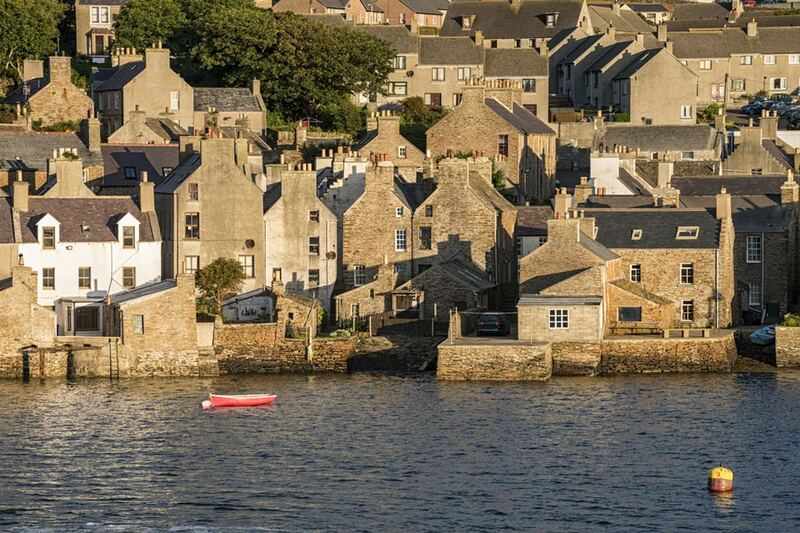 Late afternoon, we’ll venture onto the mainland of the Orkney Islands and check in to our hotel in Stromness. Breakfast and dinner included. Overnight in Stromness. Today we begin our exploration of The Orkney Islands. There are approximately 70 islands in Orkney but today we’re staying on the mainland to find out more about this place’s Neolithic past. Our knowledgeable guide knows the Orkney Islands like the back of his hand and he’ll guide us through each historic site from Skara Brae and Skaill House to the Brough of Birsay and Broch of Gurness. 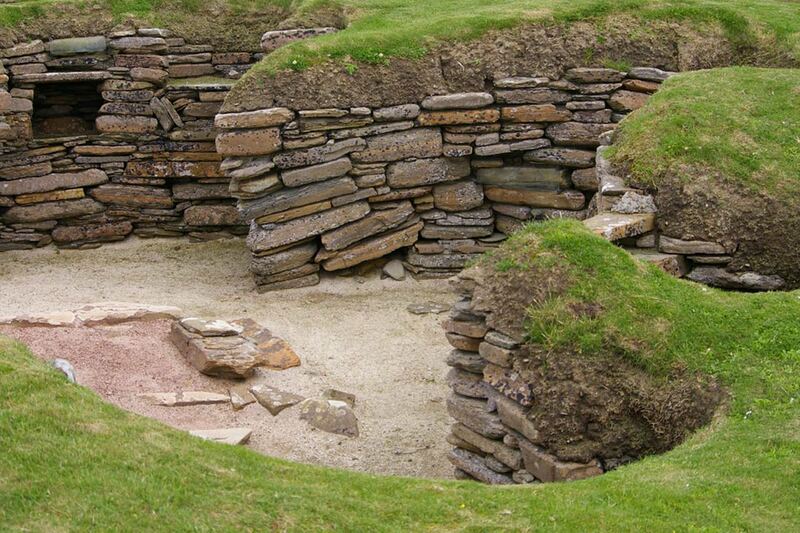 Some of these sites date back to 3000BC so if you’re into history, you can really step back in time on Orkney. Midway through our tour of the mainland, we’ll stop at Orkney Brewery for lunch – you can even try a local Orkney beer if you fancy! When we arrive back at the hotel in the late afternoon, there’ll be time to freshen up before dinner at the hotel where we can trade stories from our day! If there’s anything in particular that’s taken your fancy in Orkney, then today is the day to do it. You’ve got the whole day to spend at your leisure so why not take a coastal walk or visit Kirkwall, a bustling harbour town on the Mainland. If you visit Kirkwall, the coach can take you and bring you back to the hotel in Stromness. Kirkwall has an extremely Scandinavian vibe to it thanks to its Norse heritage. You’ll also find an array of craft shops and the most northerly cathedral in Britain – St Magnus Cathedral – where you can wander the gardens and experience the film “The Saga of St Magnus”. We’ll be together for dinner in the evening after a good day of exploring. After a good night’s sleep, we’ll board the ferry to Scrabster on mainland Scotland. This will be the start of our journey to Ullapool and on the way we’ll visit Smoo Cave – a sea cave carved into the limestone cliffs of Sutherland. Smoo Cave has one of the largest entrances to any sea cave in Britain so this was a stop we couldn’t miss out on our travels! Our journey will continue along Scotland’s NC500 route that’s popular, thanks to its beautiful scenery, with road trippers travelling through Scotland. We’ll cross over Kylesku Bridge before reaching our destination of Ullapool. It’s a short but sweet stop but, surrounded by imposing hills and situated on the coast of Loch Broom, we’re sure this place will take your breath away with its beauty. Dinner is together at the hotel as we get ready for the last day of our trip. Breakfast and dinner included. Overnight in Ullapool. Today we venture inland, leaving the west coast behind as we return to Edinburgh. 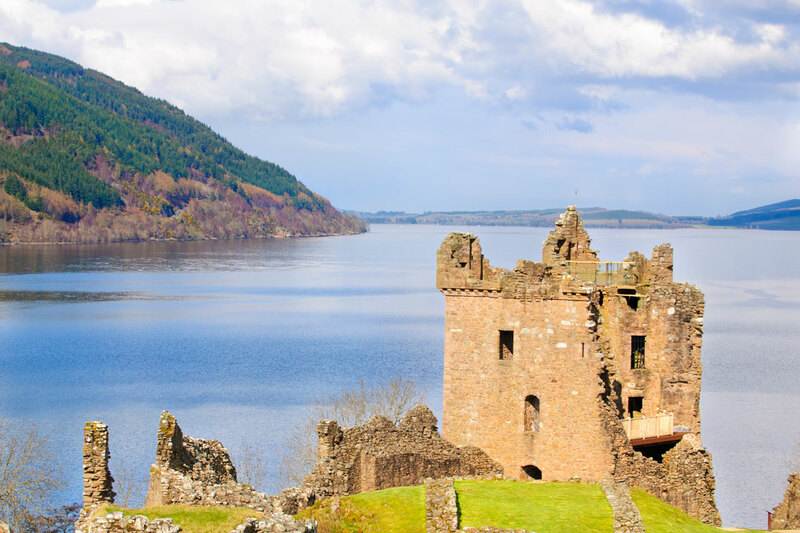 Along the way, we’ll have a brief stop in Drumnadrochit which is famous for being home to one of the world’s most famous mysteries: The Loch Ness Monster. Our grand tour of Scotland will then conclude in Edinburgh mid-afternoon. We expect to be in Edinburgh no later than 3 pm on Monday 6th of May so please keep this in mind when booking onward transportation and leave plenty of time in case of the unlikely event of any delays.